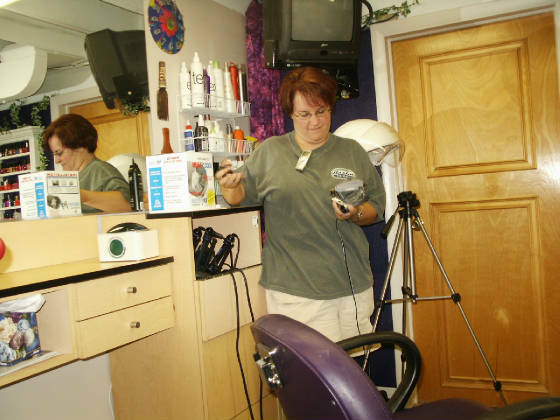 A small business owner asked STORM to see if we could find any evidence of the paranormal experiences she had in her home and home business for years. We experienced firsthand much psychic activity and "feelings" and images that were later proven true, but were only able to document a few images we could not explain. One unusual image was this photo below of an "orb." We were in the attic and it was completely dark. We were sitting in vigil waiting for something unusual to happen, when we felt a presence. 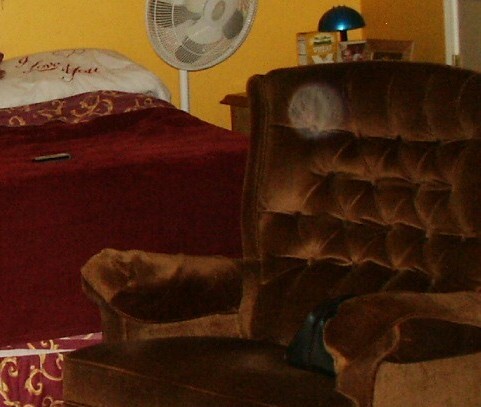 We took a few photos and got nothing unusual on film, except for two photos of this orb of light appearing in the chair at the foot of the homeowners bed. It had moved slightly from one photo to the next. We have multiple photos of the same place with no light or orbs apparent.